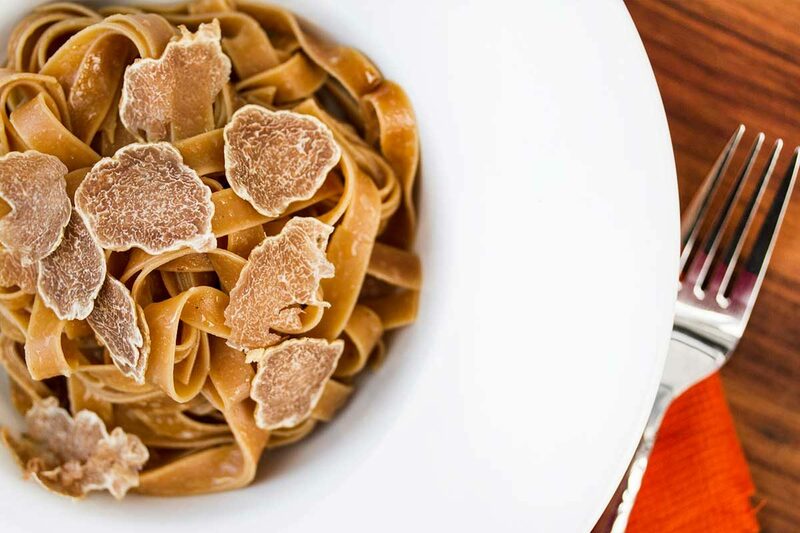 FFresh wild truffles are best enjoyed as soon as you get your hands on them, but they can be stored for later use. Given how precious fresh truffles are (particularly Perigord truffles and Italian white Alba truffles), storing them correctly is worth the effort. There are several methods used by chefs, and some argument in the culinary community over which method is best. Here’s an explanation of each and why you’d want to do it. Truffles can be stored in the refrigerator as you would fresh mushrooms. Because the fridge is an inherently moist environment, it is important to wrap them in unbleached paper towels to absorb moisture. After receiving your truffles, remove them from their packaging. For best shelf life, our foragers recommend using tongs or gloves rather than handling them with your hands. Pat them dry if any condensation has formed during shipping. Roll the truffles in a paper towel, then place them in a zip-top bag. Store the bag in your fridge without closing it (the truffles need to be able to breathe). Check the paper towel periodically and replace it whenever you discover that it is moist. Store them in Rice: Storing truffles in rice (in the fridge) helps preserve them from exposure to the air while imparting truffle flavor to the surrounding food. It can also help them last a little longer in the fridge. However, some people believe that this process, while producing delicious rice, leeches flavor and moisture from the truffles, reducing their quality. The most common rice varieties used for this are Arborio and Carnaroli rice, because the infused flavor lends itself so well to making risotto. Not recommended for Oregon truffles or white alba truffles. Store them in Oil: Fresh truffles can also be stored in neutral flavored olive oil (just enough to cover in a small container) in your refrigerator for up to two weeks. The oil provides a barrier against air exposure while preventing the loss of moisture. The truffles will slowly infuse a little of their flavor into the oil, producing a form of homemade truffle oil. Great for white alba truffles, not recommended for Oregon truffles. Though the results will not be as good as commercially preserved truffles, you can freeze truffles at home for long term storage. Freeze the Truffles Plain: Freezing truffles is the most reliable way for a home chef to preserve them for up to six months. Vacuum packing before freezing is best, but if you don’t have a machine, place your truffles in a zip top bag with all the air pushed out or sucked out. Freezing the truffles separately will make it easier for you to use them one at a time later. Once frozen solid they can be consolidated into a single bag (with as little air as possible). Once frozen, truffles are best cooked or grated from frozen rather than thawing first. If finely grated, the warmth of your food should thaw them. Freeze the Truffles with Butter: You can also pre-grate the truffles and mix them with butter to make truffle butter, then freeze the butter. Dehydrator: While you can use a home dehydrator to dry truffles (ideally cut in half or sliced), home dehydrators apply heat as part of the dehydration process, and can be slow, so a lot of the truffle’s flavor will likely be lost. We don’t recommend this method. Canning: It’s true that truffles are frequently canned (usually jarred) by the truffle industry for use outside of truffle season. 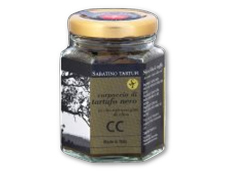 You could theoretically use canning techniques to preserve your fresh truffles for later use. However, because truffles are extremely heat sensitive, it could be very easy to diminish their flavor, so we don’t recommend using this technique at home either. a beautiful, extremely aromatic truffes sits in Arborio rice in my refrigerator, to be used tonight with lobster, and next week with homemade ravioli. Thanks for the feedback, and enjoy! Thanks for your handy storage tips for truffles. This morning I was preparing to mulch around our century-plus willow tree here in the N. Shenandoah Valley near Gore, Va.
I’ve never eaten truffles before. Wish I knew the best way to handle it (freeze for longer use, or store in fridge for a shorter amount of time). I like to cook, but am not as advanced as Hal! Thanks for the feedback Sandy. We’re glad the information was of use!